As long as mind tries to reach enlightenment will only be turning the will of samsara. 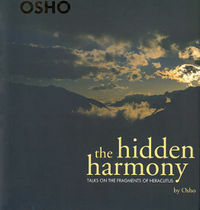 The hidden harmony is beyond mind and therefore hidden only from the mind, from search, from being and becoming. The elimination of search and being liberates conditions and mind, dissolves personality and ego and therefore one sees the futility of being and finally annihilates and extinguishes self from yearning.